Injury prevented Enable strutting her stuff in the QIPCO British Champions Series last year but the brilliant mare seems certain to be back in the thick of the action this year. We know that an attempt at a historic third triumph in the Qatar Prix de l’Arc de Triomphe at ParisLongchamp is her principal objective and Teddy Grimthorpe, racing manager for owner Prince Khalid Abdullah, has indicated that the Juddmonte International on August 21 will also be “strongly considered”. It is little wonder that the York showpiece is high on her agenda. Abdullah sponsors the race and took great delight in Twice Over (2011) and Frankel (2012) previously carrying his colours to victory in it. Also, given Enable has already shown her prowess over a mile and a half, it would afford her the opportunity to show what she can do over over two furlongs fewer. The alternative race for her at the meeting would be the Darley Yorkshire Oaks, 48 hours later over a mile and a half. Enable was a runaway winner of the 2017 renewal. But where does John Gosden point her in the first half of the campaign? Her connections have yet to drop any clues and, no doubt, her wellbeing and ground conditions will be a factor. She seems effective on all surfaces but does seem to enjoy some give underfoot, as befits her breeding, and it is unlikely her team would want to persistently run her on fast terrain. The Investec Coronation Cup at Epsom on May 31 might be deemed a suitable starting point. Gosden won last year’s renewal with Cracksman and the ground is rarely quicker than good for the Derby meeting. Enable was an emphatic winner of a memorable Investec Oaks in 2017 – the race was run in a thunderstorm – so the course would clearly hold no fears for her. 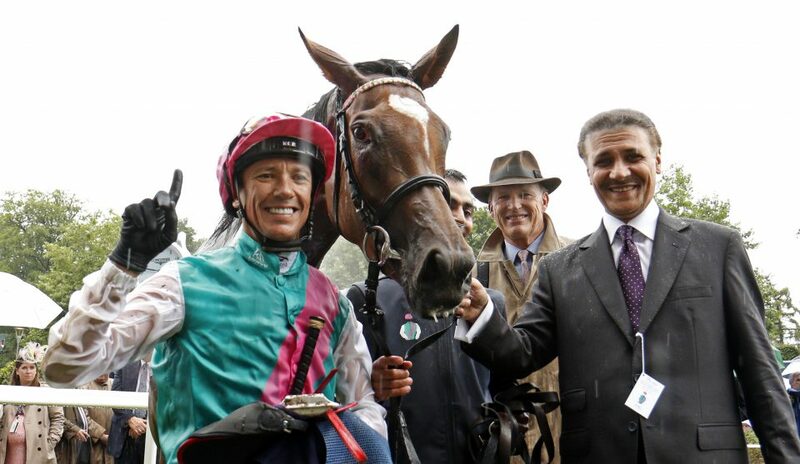 Enable has never run at Royal Ascot, and you’d imagine Gosden and Abdullah being keen on putting that right. It would be fascinating to see her line up in the Prince of Wales’s Stakes over a mile and a quarter on June 19. All her previous seven Group 1 wins have been over a mile and a half but she has never looked short of speed. Another race at Ascot with her name on it could well be the QIPCO-sponsored King George VI and Queen Elizabeth Stakes on July 27. She was a stunning winner of the 2017 running and, in terms of timing, it falls perfectly between Royal Ascot and York. Could she bow out in the QIPCO Champion Stakes on QIPCO British Champions Day at Ascot on October 19? Maybe we are being greedy – it comes only 13 days after the Arc – but up to now she has thrived on competition and Found came close to winning both races after the same gap of time a couple of years ago. It is worth recalling, too, that she ran away with the King George just a fortnight after a wide-margin win in the Darley Irish Oaks. Wherever Enable runs, we cannot wait to watch her.